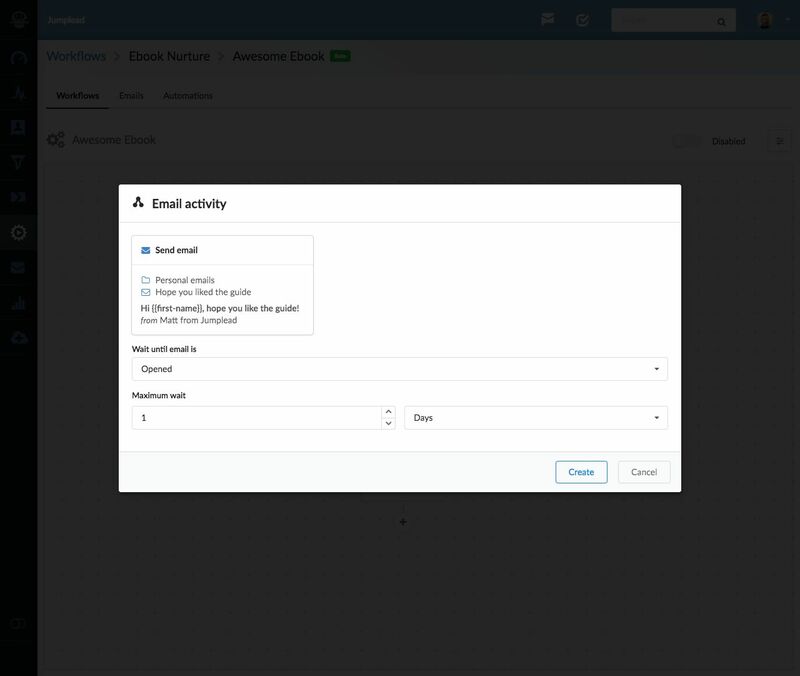 Being able to both send and stop autoresponders based upon activity allows you to upgrade the sequence your contact is receiving to better match their sales readiness. 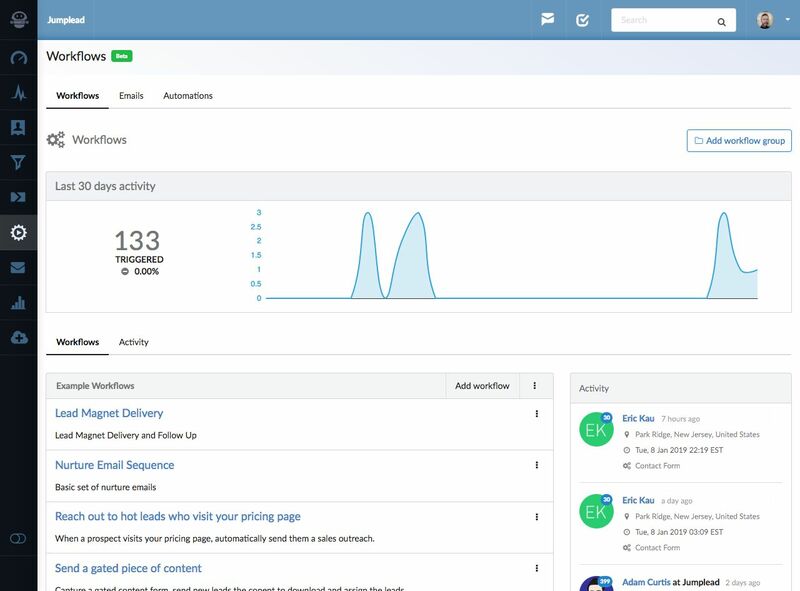 Multi step email campaigns are best created as a Workflow Automation, as this way you have the option of checking whether an email has been opened or clicked on, providing more flexibility for alternate marketing automation actions. 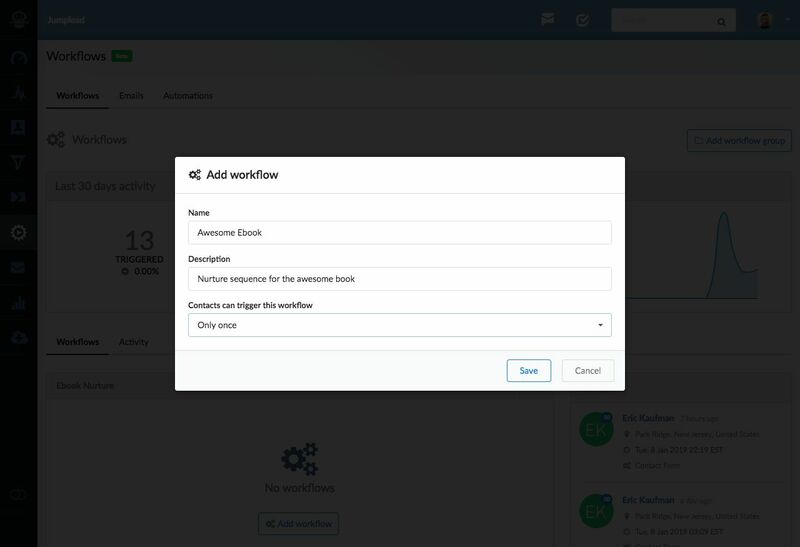 Choose whether you want the Workflow to be able to run once or multiple times for any particular contact. 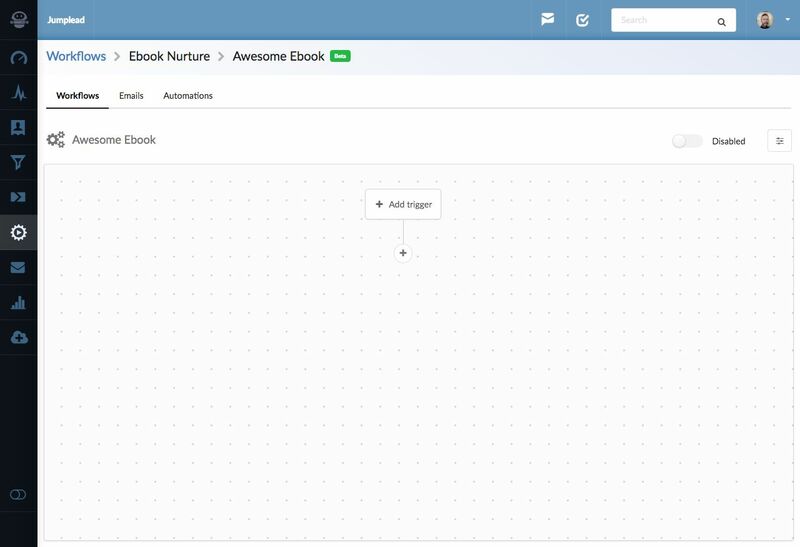 From the visual editor page you can now add a trigger which will be the Conversion form or Landing page you want to use to start the email sequence. 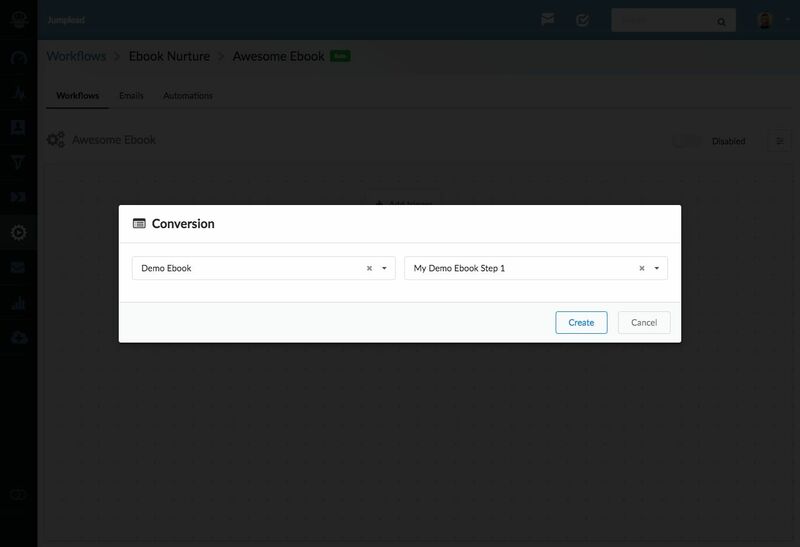 You can find your Jumplead conversion forms and Landing pages in the 'Conversion' trigger option. Jumplead Conversion forms and Landing pages can contain multiple steps, so choose the step you want to use to start your Workflow. 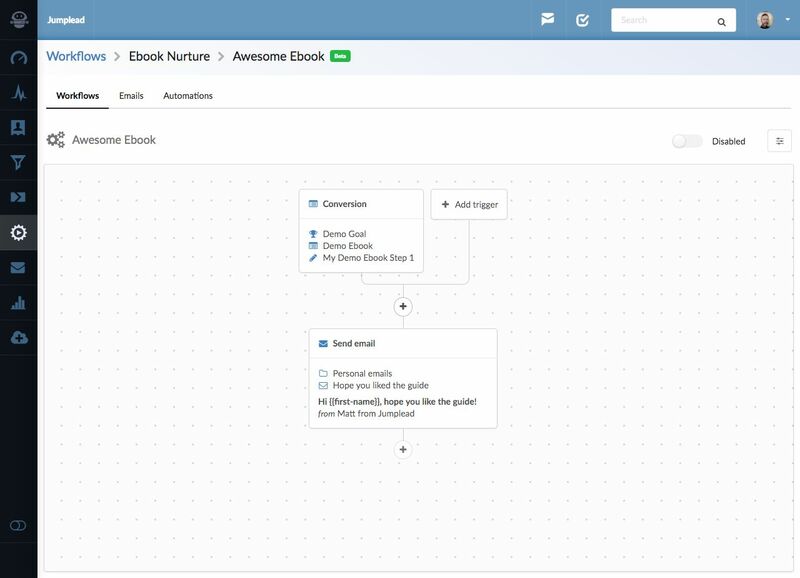 The visual Workflow builder will now include your chosen form step or landing page. Simply click the '+' icon to add either an email send or to pause or schedule your email for delivery in the future. 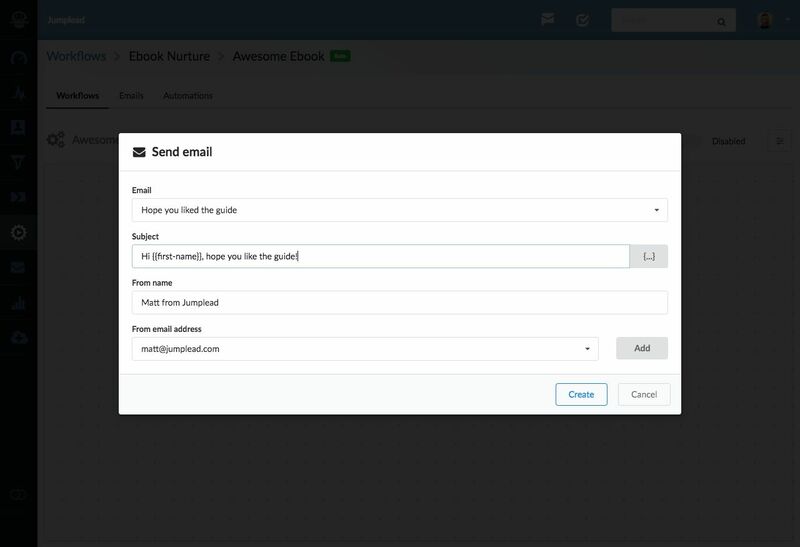 I'm going to send this first email with no delay, but you could add a Control action to ether Pause for a specific period of time before sending the email, or schedule the email to be delivered at a specific date or time, which is handy for webinars or events. Choose the email your wish to send. These are made available from the 'Emails' tab inside the Automations section. 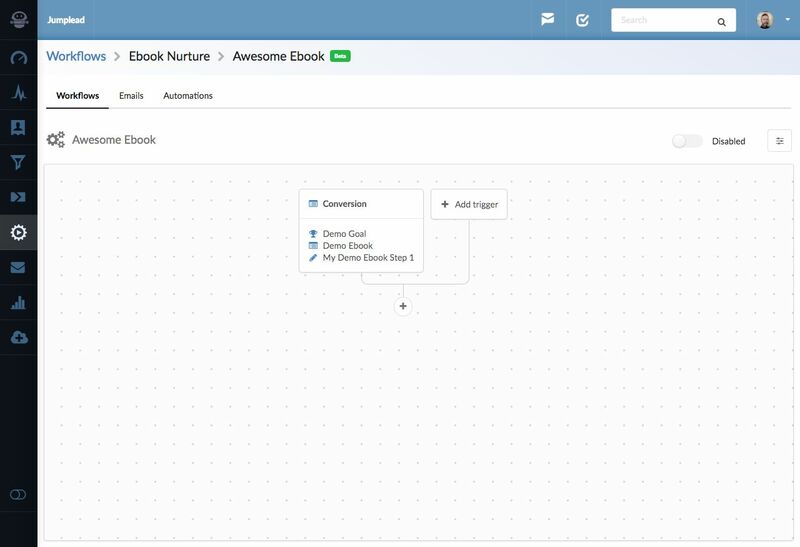 You can set the Subject, From name, and From email address on a per step basis. This is so that you can resend the email with an alternate 'Subject' line etc if the original is ignored. 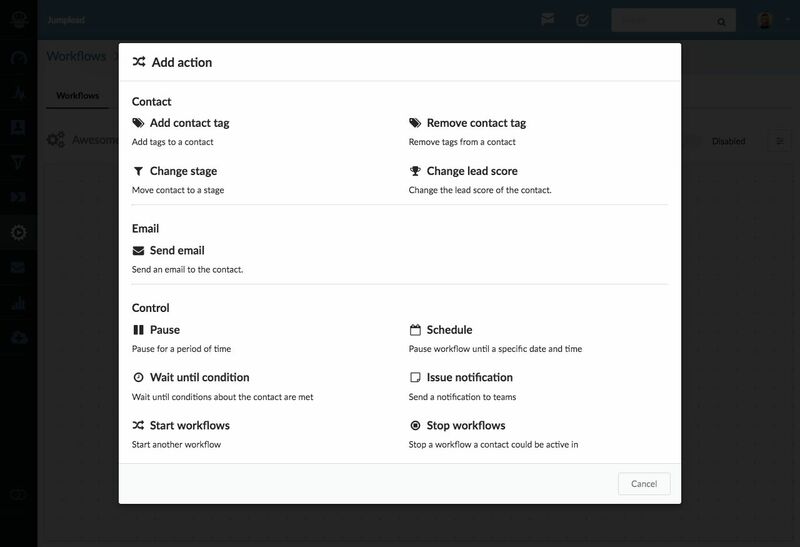 In the visual editor you'll see the email send step. 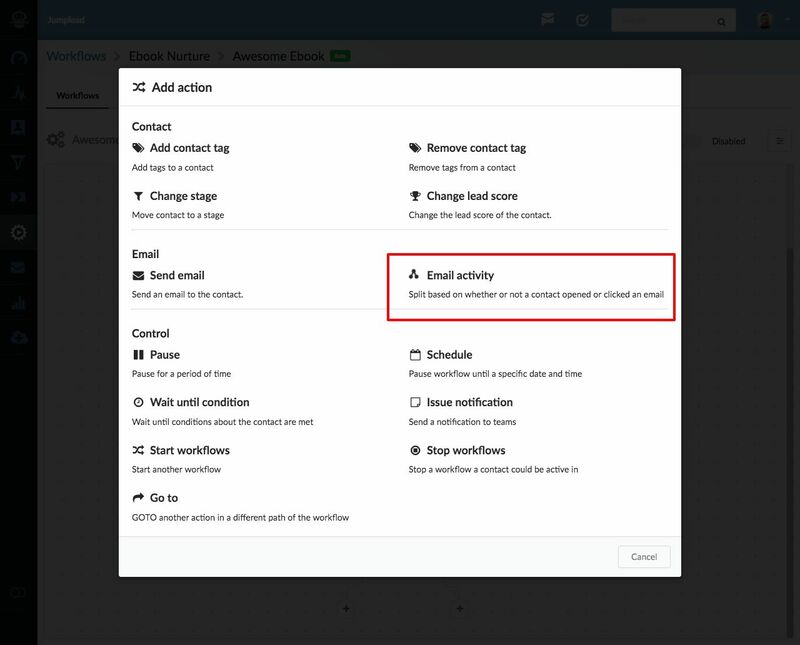 If we click on the '+' icon, we can add an 'Email activity' step that will allow us to make decisions based upon whether the email is opened or clicked. So we are going to wait for one day to see if the email was opened and then if it is we can proceed to the next email. Or if not we might choose to resend the original email with an alternate subject line. 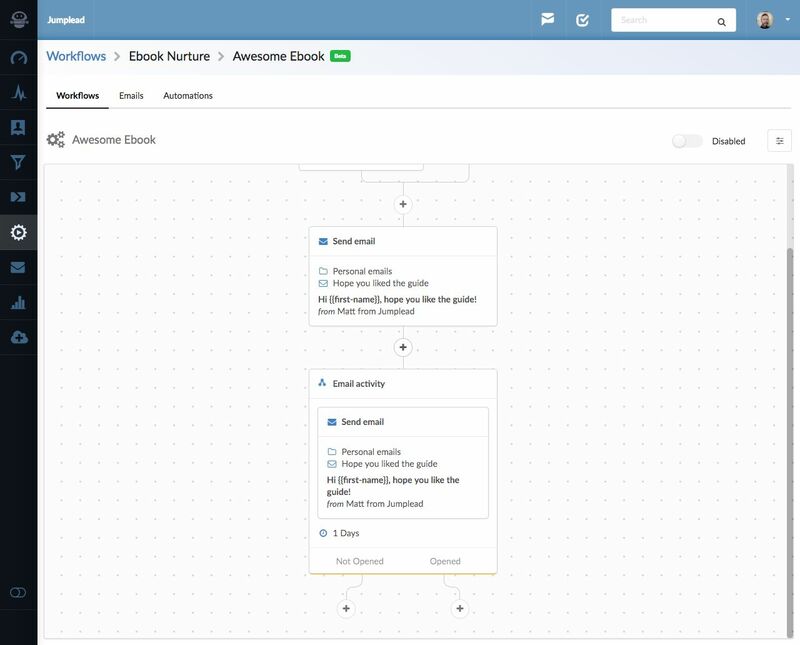 Now in the editor we can see the logic split that allows us to proceed and add subsequent emails for the Workflow. You can easily move between branches by adding a 'Goto' link for someone that has maybe missed a few emails but then re-engages again. 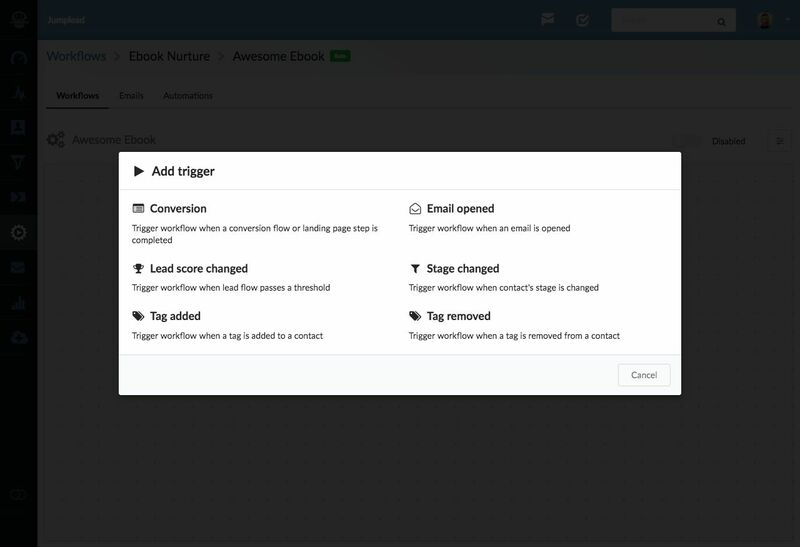 Once you are happy with your email nurture Workflow make sure to Enable it in the top right corner.